Commercial satellite imagery indicates that North Korea has halted its dismantling of the Sohae Satellite Launching Station. 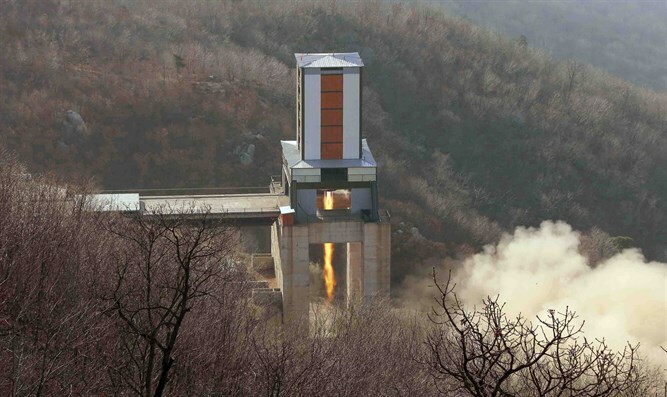 Commercial satellite imagery indicates that North Korea has halted its dismantling of the Sohae Satellite Launching Station, its only operational space launch facility, the 38 North website reported on Wednesday. The images, dated August 16, indicate that no significant dismantlement activity has taken place at either the engine test stand or the launch pad since August 3. At the vertical engine test stand, while significant progress in tearing down the facility was made from July to early August, no new dismantlement activity is apparent since August 3. The components previously removed remain stacked on the ground, said 38 North. On the launch pad, work on the rail-mounted transfer/processing building appears to have stalled, it said. The same parts of the west and north walls that had been previously removed remain stacked on the ground. The gantry tower and assembly building are intact. It is still unclear if this activity is associated with dismantling or modification of the structure. Last month, 38 North published images showing that Pyongyang had begun to dismantle key facilities at the Sohae station. Wednesday’s report comes two days after the International Atomic Energy Agency (IAEA) said in a report that it had not found any indication that North Korea had stopped its nuclear activities. U.S. President Donald Trump and North Korean leader Kim Jong Un held a historic summit in Singapore in June, during which they signed an agreement which includes a commitment to achieve total denuclearization of Korea, with promises to pursue “vigorous negotiations” to that end.